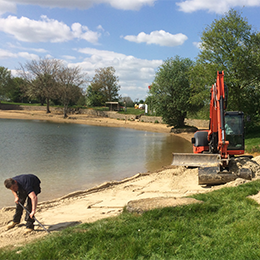 Hills Quarry Products has fully-licensed disposal sites in Wiltshire, Oxfordshire and Gloucestershire enabling customers to dispose of their inert waste, such as foundation dig spoil and demolition rubble. Hills’ can help our customers across central and southern England with the disposal of various materials. We have the facilities and expertise to help with your disposal needs and ensuring your legal responsibilities are met. For more information and guidance on which materials can be disposed at Hills Quarry Products’ inert tipping facilities, please call 01793 714999.